« METALOCALYPSTICK: Canada’s Premier Women Focused Metal Festival Announces 2019 Lineup w/ Lost Nebula, Interitum, Massive Scar Era and more! Blackened thrash metal scourge WIDOWER is set to unleash their first-ever full-length album, Cataclysmic Sorcery. This nine-track hellstorm delivers an unrelenting battery of rapid-fire drumming, dueling guitar harmonies, tortured screams and pummeling thrash rhythms. 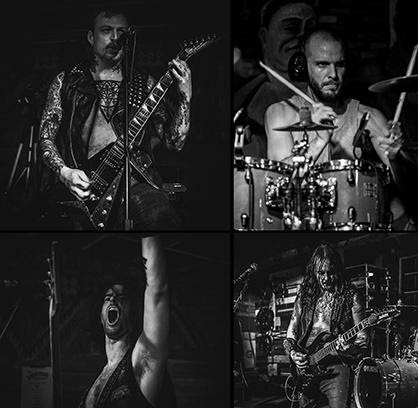 With sadistic intensity, WIDOWER blur the lines of black metal, death and thrash. 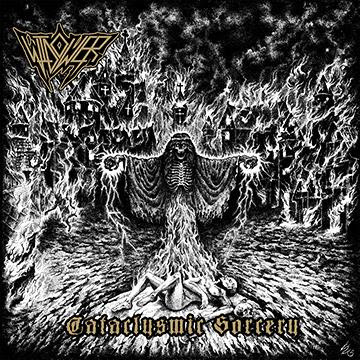 Black Market Metal Label and WIDOWER will release Cataclysmic Sorcery on CD, digital, cassette and LP on May 24. Over the course of eight years, this Austin, Texas-based band has released three acclaimed EPs, laid waste to stages across the U.S. and contributed two songs to the film “Zero Charisma.” Cataclysmic Sorcery is the first WIDOWER release to feature drummer Sterling Junkin (Venereal Baptism, Narcotic Wasteland) and bassist Jake Holmes (Churchacide, In Oblivion). This entry was posted on April 9, 2019 at 4:15 pm and is filed under Heavy Metal, Metal, metal music, Music, music news, news, rock music, world news with tags Heavy Metal, Metal, metal albums 2019, metal odyssey, rock music news, widower. You can follow any responses to this entry through the RSS 2.0 feed. You can leave a response, or trackback from your own site.